After missing all but 3 games in his true freshman year, Markus Bailey was granted a redshirt season. Much was expected of him this season, based on his small sample of play in those first 3 games, and then his performance leading up to this season. However, the season Bailey had was nothing short of incredible. Bailey has moved to inside linebacker after starting the season out at the WILL linebacker spot. Bailey played in 3 games at the WILL linebacker position last season before a knee injury sidelined him. Prior to the injury he had recorded 12 tackles. For the season Bailey led the Boilermaker defense with 97 tackles, and 4 interceptions. He also has made 6 tackles for loss, broke up 2 passes and deflected another 6. 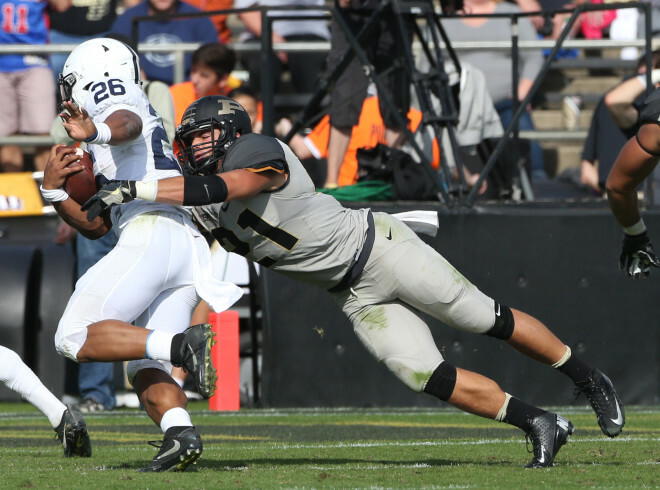 The Purdue football team finished 3-9 with a close 26-24 loss yesterday. They will unfortunately not be eligible for a bowl game. As is the case for most high school stars, once you hit the college football scene you have to sit and wait your turn. While most Davidson faithful remember that Phillipie Motley is an absolute burner on the field and the track, his wait to play in college has been at a snails pace. Motley took a redshirt season in 2014, and playing primarily on special teams and as a reserve cornerback last season. He recorded 4 total tackles through 13 games in 2015. 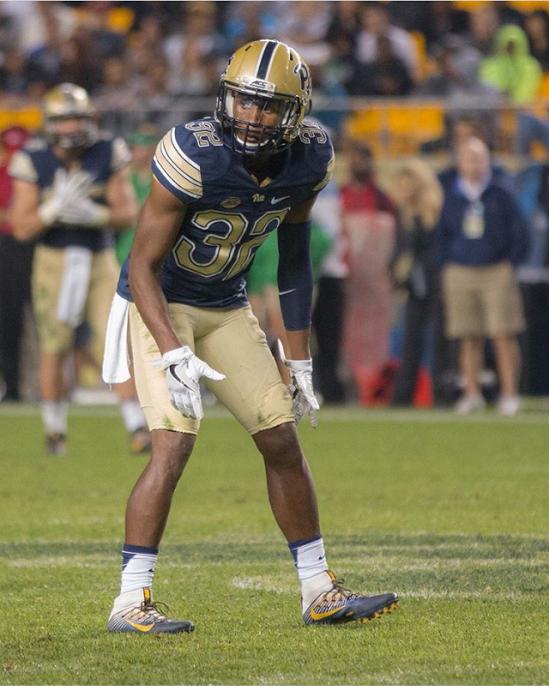 It appeared Phillipie would be in the same role this season, however during Pitt's week 6 matchup against Georgia Tech, starting cornerback Avonte Maddox went down with an injury. Motley would get the start, in place of Maddox, for the Virginia and Virginia Tech football games. He made the most of time recording 8 tackles and breaking up 2 passes. However, Phillipie injured himself during the Virginia Tech game and has not played in the previous 2 contests, including Pitt's 43-42 upset win over #2 Clemson last weekend. Pitt finished the regular season with an 8-4 record, after a record setting 76-61 win over Syracuse. The NCAA record for most points in a game (137) beat the previous record of 136 set in 2007 when Navy defeated North Texas 74-62. ​The Panthers will likely play in a respectable bowl game. It is unknown if Phillipie will be ready by the bowl game. In January of 2014 Nick Tabacca left his alma mater Ball State, to join the Wake Forest coaching staff. 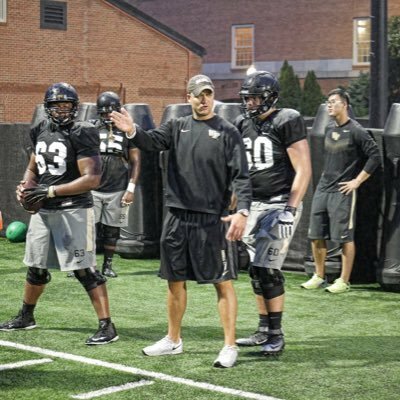 During his first season at Wake the Demon Deacons went 3-9 and did not qualify for a bowl game. This season has already proven different as the Deacons, currently 6-6, and have qualified for a bowl. This marks the first time Wake Forest has been bowl eligible since 2011. Wake Forest has quality wins over Duke, Indiana, Syracuse and Virginia. Unfortunately they had a pretty tough go in ACC play during the latter half of the season, losing to ranked opponents Clemson, Florida State and Louisville. It is not known which bowl the Wake Forest football team will play in just yet, but we will keep you posted.